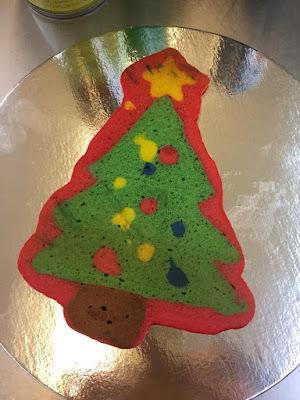 Yes folks, it’s the most wonderful time of the year again—Christmastime! 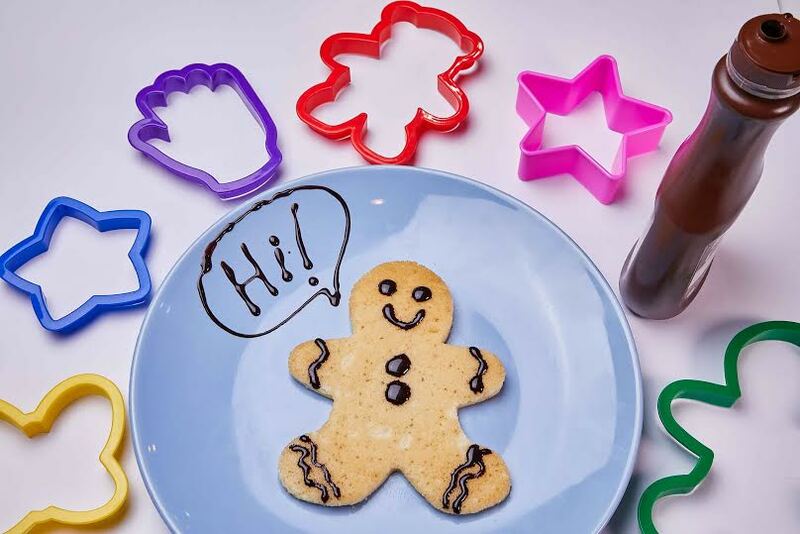 And whether you’re still in denial about it, the holiday season brings a lot of childhood happy memories back when most of us still believe in the magic of Christmas. 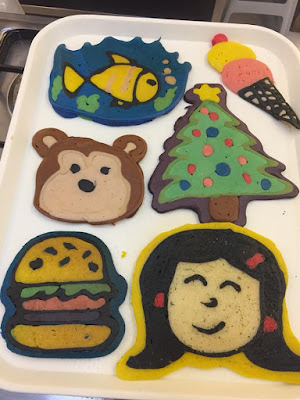 Nothing warms my heart than waking up to freshly baked cookies and brownies wafting in the air. 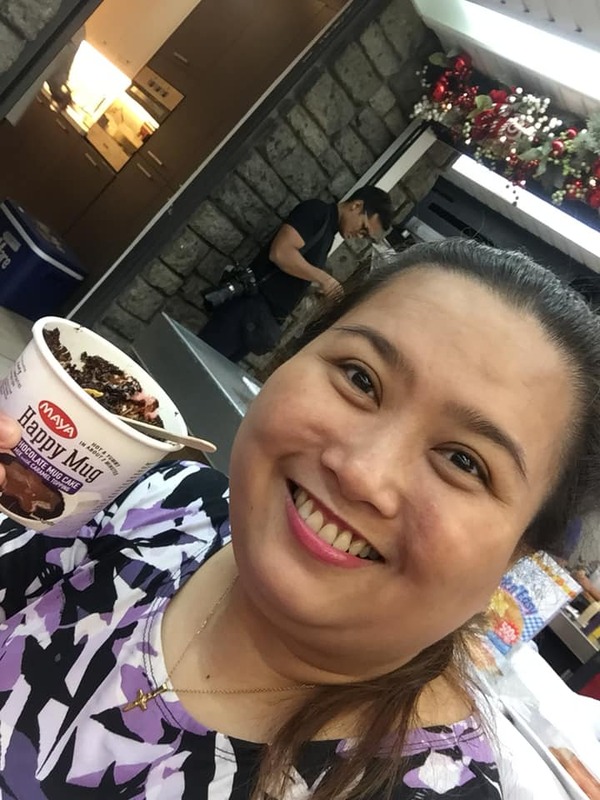 So I was glad upon learning that Filipino brand MAYA has made life easier for moms and those who are behind the preparations for Noche Buena. 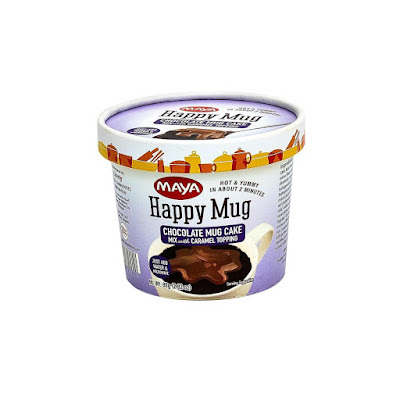 With a number of products to choose from, you can never go wrong with any MAYA product. 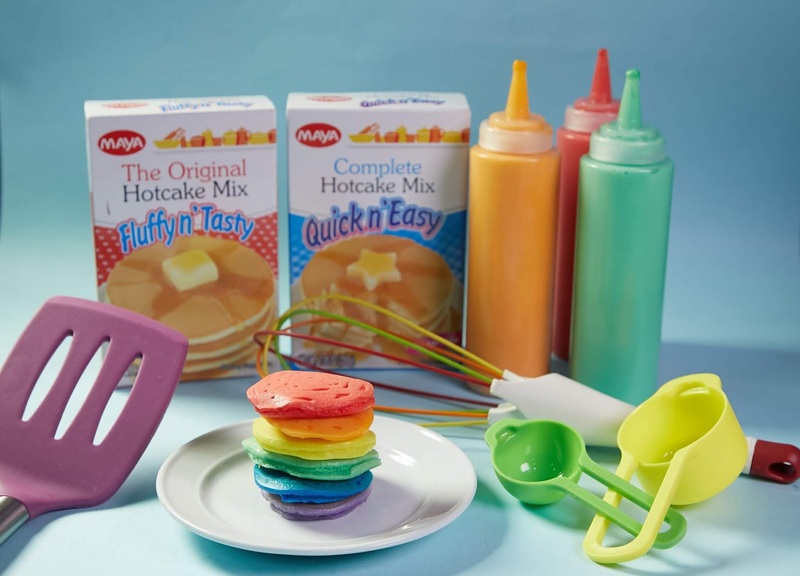 From their hotcakes, brownie, APF (all-purpose flour) and cake mixes, everything seems so convenient to whip up things that every family will surely enjoy. 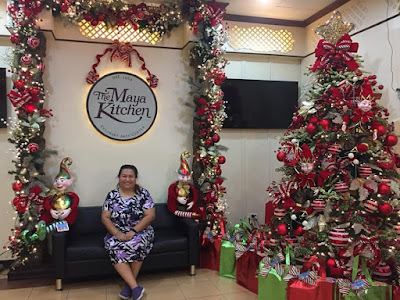 I recently discovered MAYA Happy Mugs when I received an invitation to visit The Maya Kitchen recently in Arnaiz Avenue, Makati City. It’s so easy to make, even little kids can do so with an adult’s supervision. 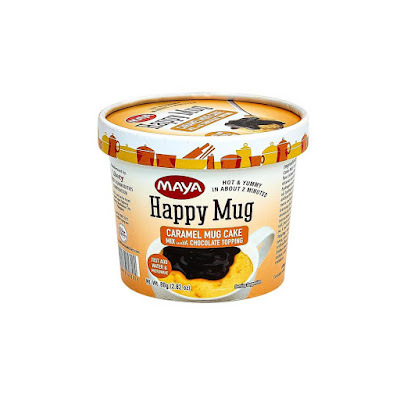 Maya Happy Mugs are single serve ready-to-mix delicious baked goodies. 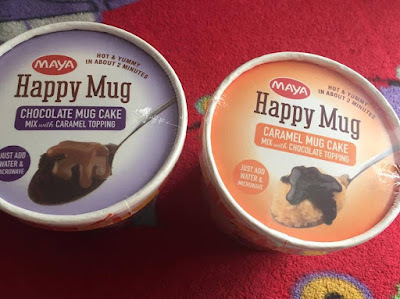 They are available in two variants: MAYA Happy Mug in Chocolate Cake with Caramel Drizzle Syrup and Caramel Cake with Chocolate Drizzle Syrup. 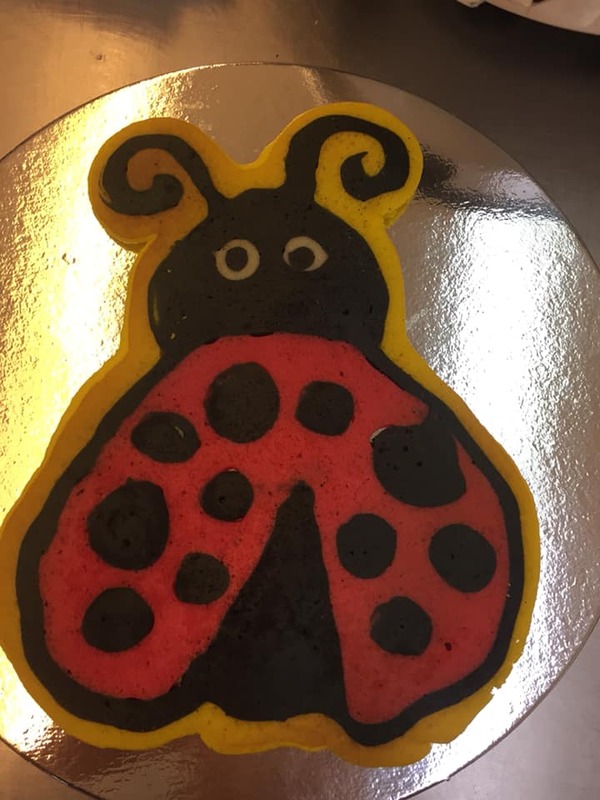 It’s a very simple D-I-Y cake which you pop into the microwave oven for two minutes and voila! 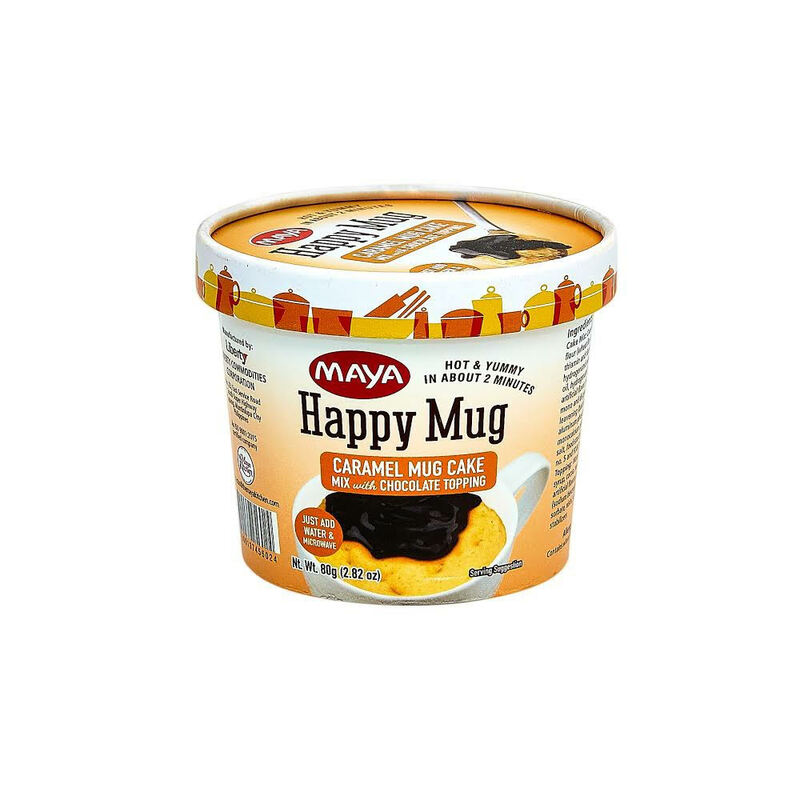 You can already enjoy a yummy mug cake you’ve just made yourself in minutes. 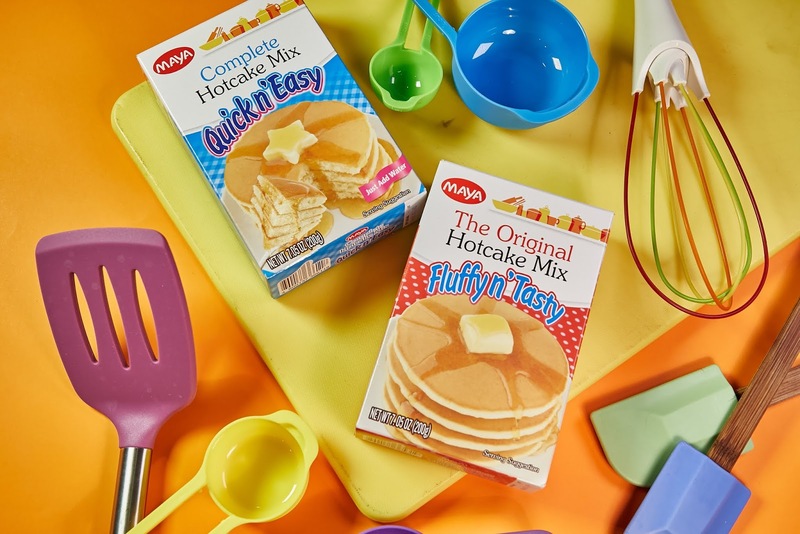 You may add on some more toppings on the gooey cake mix: from fruits to nuts to marshmallows and chocolate bits—have it the way you want it! Kids would surely want to try their hand at making their own MAYA Happy Mug. 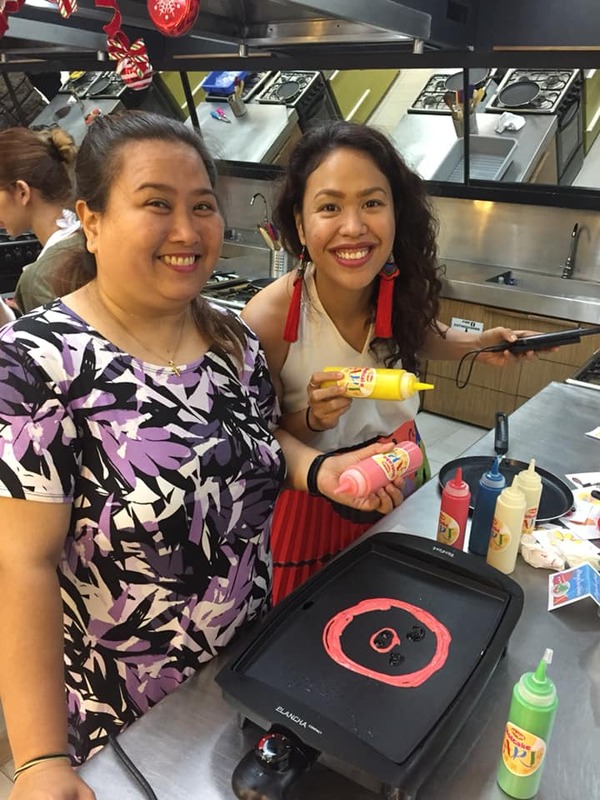 It’s going to be a good bonding for parents and their kids too. 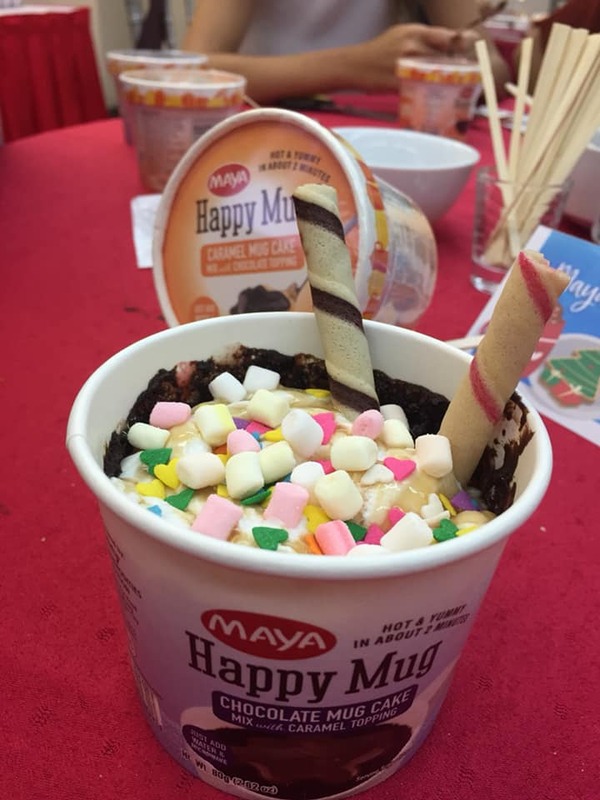 The MAYA Happy Mug is such a sweet treat not just for kids but for those kids-at-heart too. MAYA Happy Mugs are sold at P40.00 (SRP) at supermarkets and groceries nationwide. 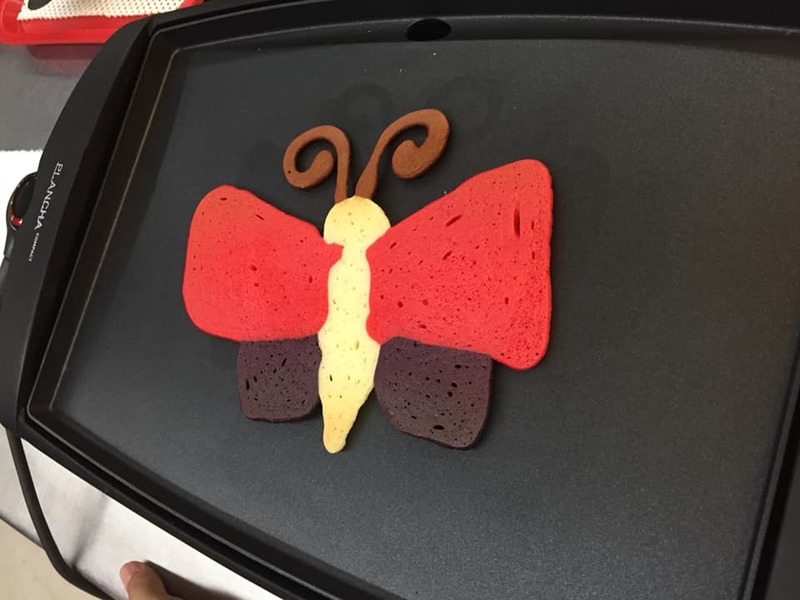 For meaningful breakfast on Christmas mornings, you can also try the MAYA Hotcake art. It’s a perfect family bonding activity. 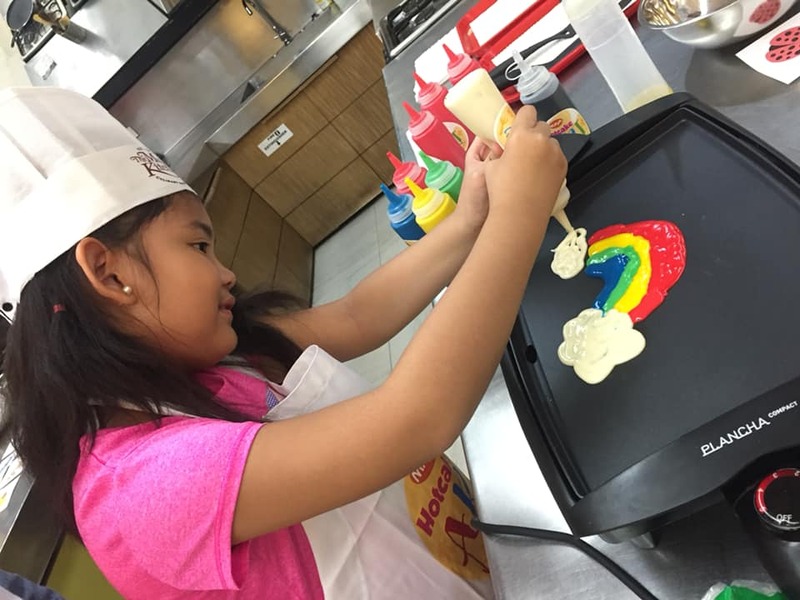 Unleash those creative juices you never knew existed by creating wonderful art pieces out of ordinary pancakes. Design your hotcakes with your favorite cartoons, shapes, and decorate them with toppings of your choice. The kids would surely appreciate this activity as they would usually want to get their hands busy and at the same time would eat something they did on their own. 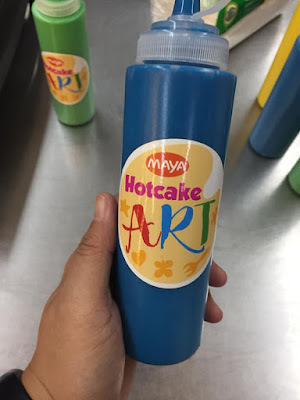 I tried my hands on making MAYA Hotcake art myself and I’d have to say it was totally doped! It was fun and enjoyable even by adults. Who would have thought making hotcakes for breakfast can be this fun? I highly recommend them for you and your family. Everyone will surely love the experience as well as the pancakes too. MAYA Original Fluffy n ’Tasty Hotcake Mix and MAYA Complete Quick N’ Easy Hotcake Mix are great companions in the morning to perk up your day. 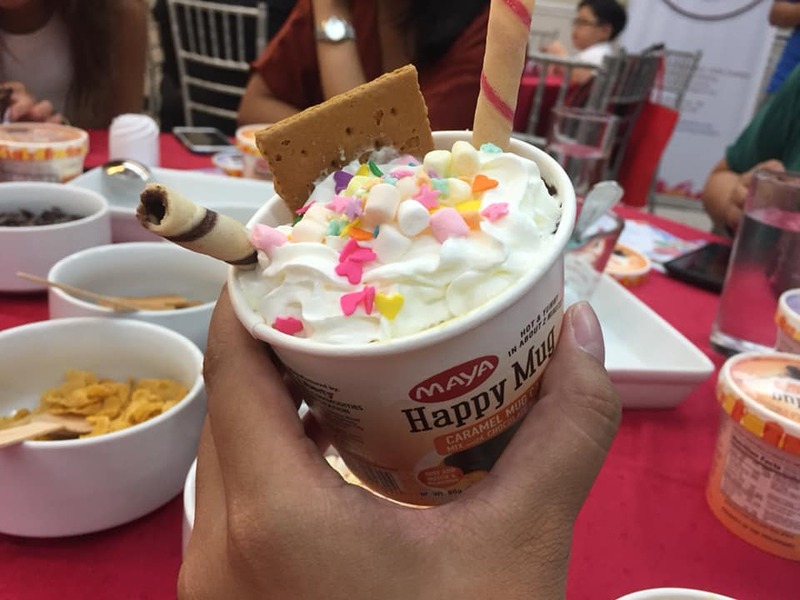 This year, MAYA lets you relive the childhood Christmases you so fondly remember with products that will turn your household into a cheerful, creative holiday haven. Make some new memories with MAYA, where the best kitchen moments are just a few steps away. 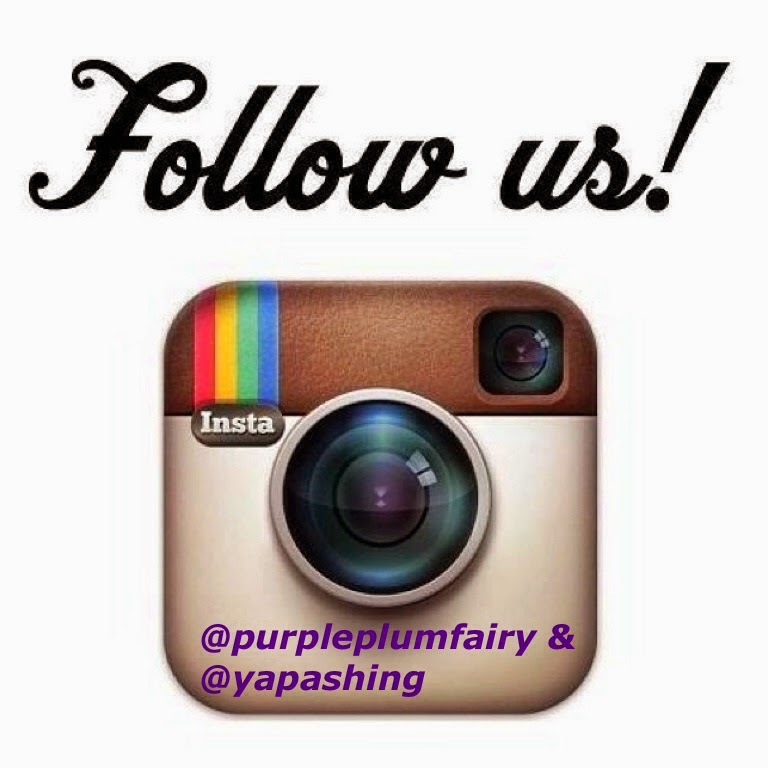 Follow and like MayaHotcakesandMore on Facebook, and @MayaHotcakesandMore on Instagram and Twitter. For more information on this, log on to www.themayakitchen.com, e-mail contactus@themayakitchen.com , or visit The Maya Kitchen Culinary Center every Tuesday to Saturday at 8F Liberty Building, 835 A. Arnaiz Avenue (Pasay Road), Makati City. 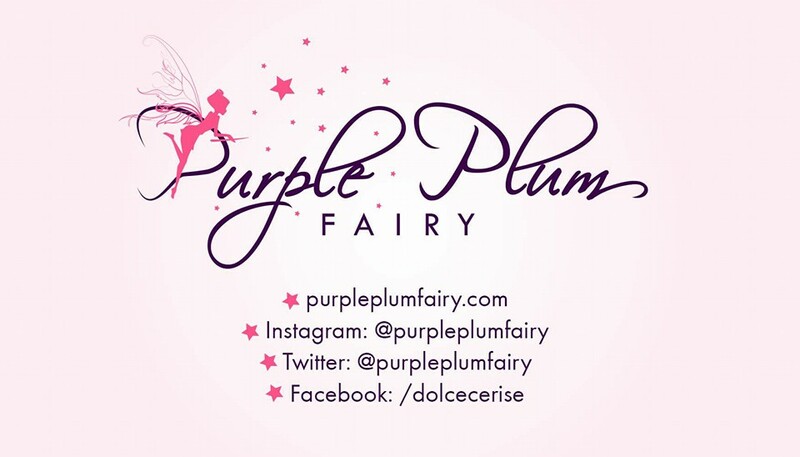 You may also call us 8921185 or 892-5011 local 108 or +63929 679 6102.